JBC 4X Revelations 2018 is in the books! JBC 4X Revelations 2018 is in the books and it was LEGENDARY! 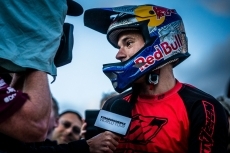 6th edition of JBC 4X Revelations absolutely pushed the boundaries of 4X racing with 13 000 people visits, amazing live coverage or spectacular Red Bull Air Race show by Martin Sonka. The atmosphere was absolutely epic and unforgetable for all riders and all the fans. 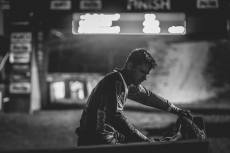 Slavik back on 4X venues! 4X Pro Tour world series started 2 weeks ago in Germany, but Slavik wasnt able to take part in this race because of colision with Down Puerto Vallarta in Mexico. Slavik jumped in to the series in 2nd round at Poland last week where he was able to smash it in quali, in finals too and took home his first fourcross win of the season. Its been a busy week for the best riders all over the world because the first stop of Crankworx World Tour kicked out last week in New Zealand and four round battle for King Of Crankworx 2018 just begun! The most expected stop of Downmall Tour is always final round round in Prague. Its longest track there, biggest crowd, fastest riders and of course DOUBLE points! Downmall Tour in Europe is in a full swing and already 3rd round of Downmall Tour was taking place in Budapest, Hungary. 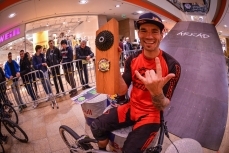 After dominating the biggest urban DH race in the world Red Bull Valparaiso Cerro Abajo one week ago Slavik travelled back to Europe to take part in 2nd round of Downmall Tour in Germany. 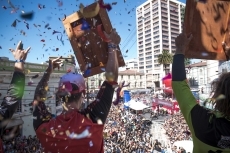 No one will offence if we will call Red Bull Valparaiso Cerro Abajo the biggest and most prestigious urban DH race in the world. 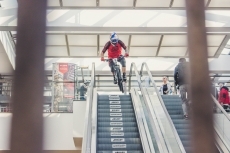 Title which is on wishlist of many DH, enduro, fourcross and urban lovers all over the world. 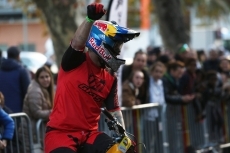 Slavik was able to take a big win at one of the biggest Europeans urban downhill race called Urban DH in Grasse, at South France. Slavik is heading for the third title of World Champion in Fourcross and this year it was his main goal to get this title! 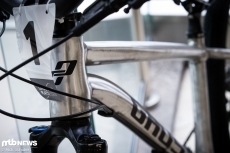 All the preps and ambitions were heading to this event in Italy, Val di Sole. 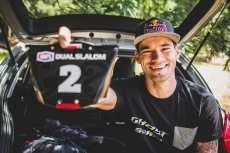 Last week was just all about the final stop Crankworx World Tour in Whistler B.C. 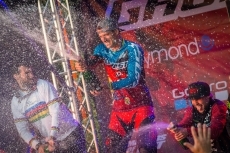 where the best riders in the world were fighting for the overall title King Of Crankworx.